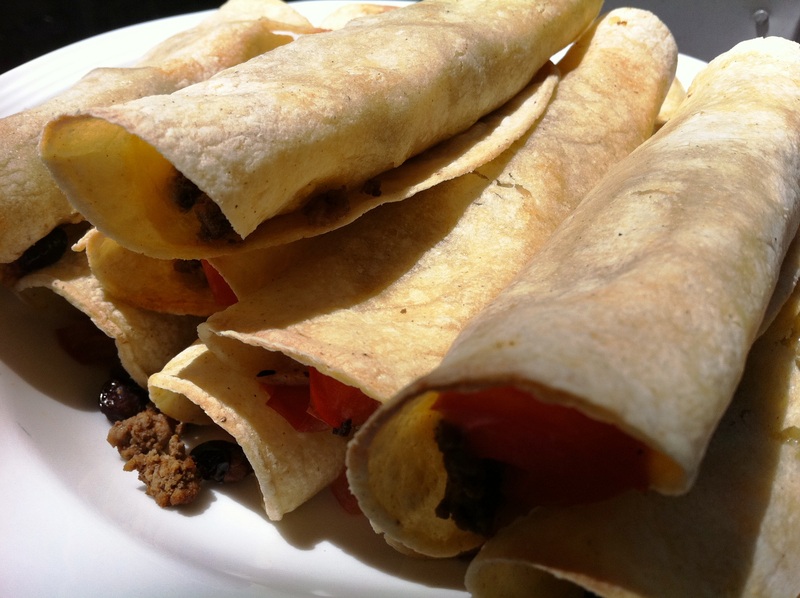 Toasted tortillas, Mexican cheese, black beans and ground beef make for a quick and tasty lunchtime snack. When unexpected guests show up, we hate to send them away hungry. But with a few common ingredients, we can soon place a platter of tasty snacks on the table that satisfies everyone’s hunger. For the perfect meal, serve our toasted flautas with chunky guacamole, sour cream and fresh salsa. In a large skillet, brown beef until crumbled. Add taco seasoning and water, bring to boil. Reduce heat, simmer for 15 minutes, drain. Remove from heat. Preheat oven to 425°F. Lay out tortillas on two baking sheets. Spread cheese on each one. Place in oven to melt, 1 – 2 minutes. Meanwhile, toss the beef, tomatoes, black beans, salt and lime juice together. 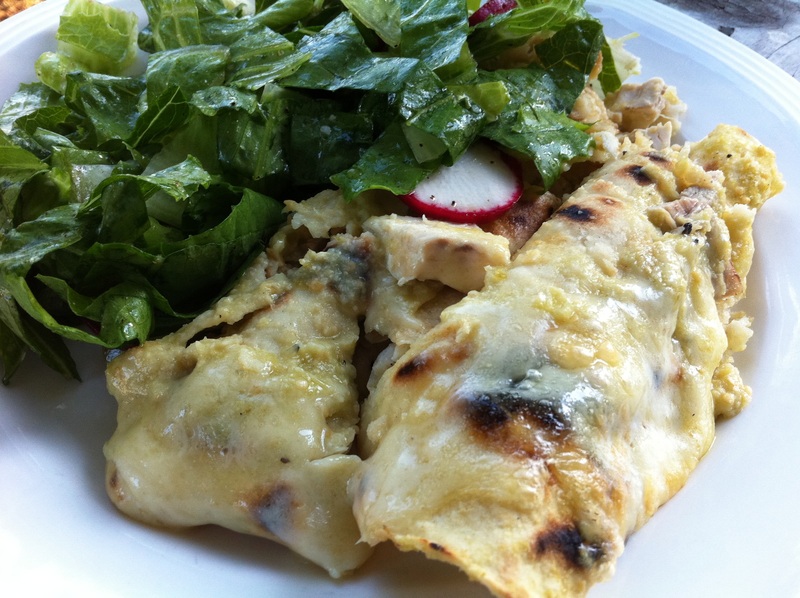 Distribute mixture over cheese-melted tortillas and roll up. Place side by side on baking sheet. Brush oil over top of each roll. Bake for 8 minutes, until golden and crispy.